The “Green Toronto Tour” will explore Toronto’s gorgeous grounds and buildings from a sustainable perspective. Stops along the way will include Metro Hall, City Hall’s Podium Green Roof and The Cloud Forest Conservatory. 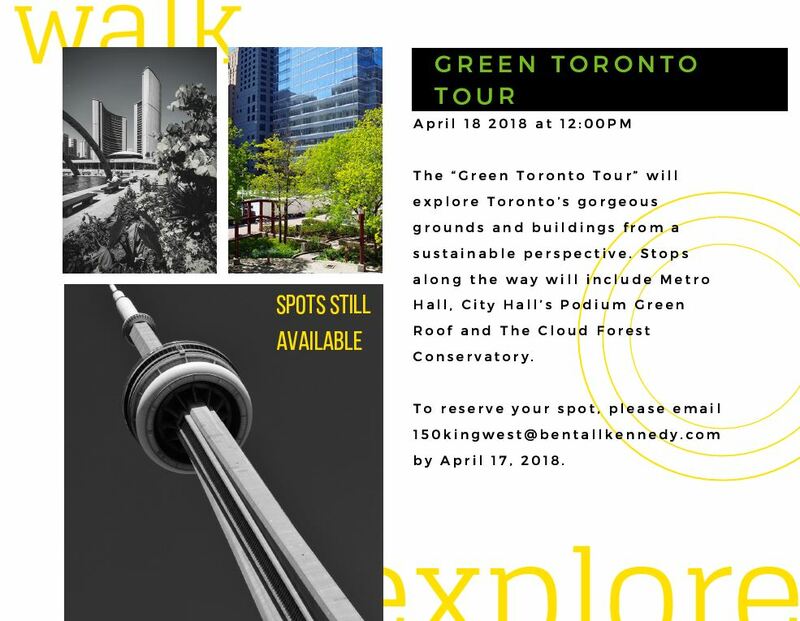 To reserve your spot, please email 150kingwest@bentallkennedy.com by April 17, 2018.